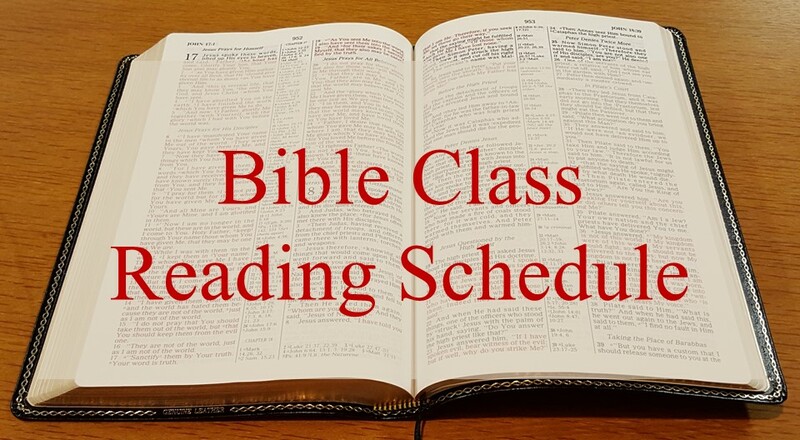 Last night at Oak Grove we discussed having a bible reading plan. Not just a plan for 2018, but a plan to consistently read the bible throughout our lives. An important aspect of any bible reading plan is 1 Peter 2:1-3. So much of what preoccupies our time can be described in these terms. Instead of feeding on the filth the world has to offer, desire that which helps us grow closer to God. Without this desire we will not be steadfast in our reading and rather than growing we will certainly shrink back toward the world. The desire will be created when we taste what the Lord has given us. Throughout the scriptures and as a whole the bible reveals the grace of the Lord. Make a commitment to reading and discover His grace for yourself – you may be surprised by what you find. Some passages / books may be difficult at first but keep reading – not to complete a yearly bible reading plan, but to be strengthened in your walk with God. If you would like a schedule to help you read through the bible in 2018 click the One Year Bible Reading Plan banner at the top of the page.